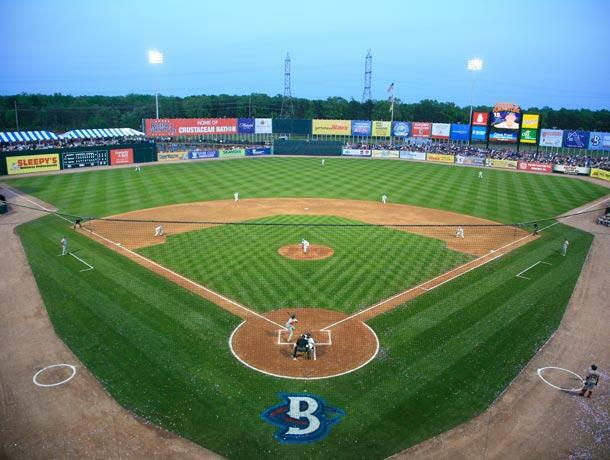 Regency Furniture Stadium (RFS) is the home of the Southern Maryland Blue Crabs baseball team. There is a nursing mother's room available which is not seen at very many ballparks, much less a minor league baseball stadium. The stadium offers a dedicated nursing mother’s station on the third base concourse, and a family restroom on the first base concourse. Both of these rooms are handicapped accessible, and are also equipped with a baby-changing station and locakable doors. Note: This is one of the official Minor League nursing rooms.